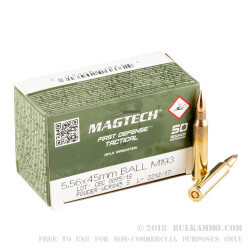 This military grade 5.56 ammo is made available to US shooters periodically when CBC, Magtech's parent company, has excess capacity after first filling their various military contracts for their own military in Brazil as well as contracts around the world to other countries. 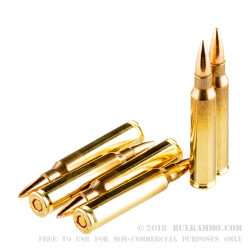 This ammo is made to M193 military specifications featuring a 55 grain full metal jacket with a boat tail design at its base for improved aerodynamics. 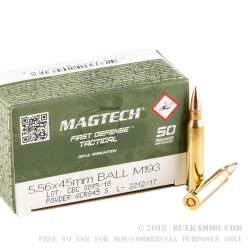 This hard hitting ammo is great for your AR-15 and it is very durable featuring little extras that military contracts require such as sealed primer pockets which mitigate the chance of water contact ruining the powder. This ammo still shows the remnants of the annealing process on the case neck in accordance with visual inspection requirements by most military contracts. 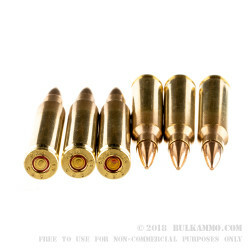 Commercial ammo undergoes this same process but subsequently goes through a final wash cycle to make it more cosmetically attractive but this has no functional downside and is just evidence that the process was done correctly.